Filmmaker Catherine Hardwicke of McAllen knew she wanted Tijuana, Mexico as the location for her reimagining of “Miss Bala,” the 2011 critically-acclaimed film about a young woman forced to do the bidding of a drug gang. Hardwicke’s version, which opens nationwide Friday and stars Gina Rodriguez of “Jane the Virgin” fame, is the rare Hollywood film that is female-driven and comprised of a 95 percent Latino cast and crew. “A lot of times in Hollywood, they’re like, ‘Go to Atlanta or Toronto for the tax incentive,’” said Hardwicke of the industry. “Well that’s not what we did. This ensured authenticity, Hardwicke said. During the shoot, the natives on set would give her ideas for scenic locations around town, and a local actor doubled as a dialect coach. For Hardwicke, it was important to portray the border town as a nuanced spectrum of Mexican life. “You don’t see Tijuana on film the way we showed it,” she said of the “beautiful parks, cutting-edge modern architecture, murals, local cuisine (and) architectural landmarks” they included in the thriller. “Miss Bala” also represents Rodriguez’s first starring role in a major studio picture. 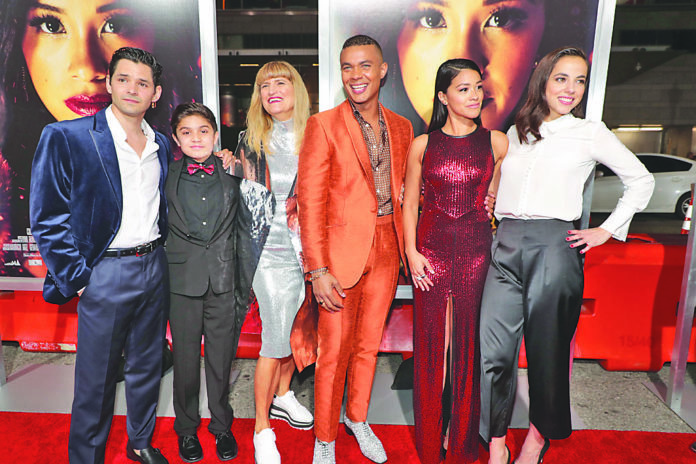 Hardwicke was encouraged by the “incredible support from the Latinx community” at its Los Angeles premiere earlier this week, with stars like Eva Longoria and America Ferrera in attendance. In pre-production, Hardwicke said her and Rodriguez pondered how they could strengthen her character Gloria to have a more active role. The team found ways to make her decisions stronger or more clever “because she realizes that no one is coming to save you and no guy is going to solve your problems,” Hardwicke said. The director, whose credits include “Twilight,” gushed over her star, calling her a “fierce, … great actress.” And not only did she prepare for the physicality required to perform her own stunts, she said, but she took the character to an emotional state that evokes empathy. It’s especially important to Hardwicke to provide a platform for Rodriguez, and the fellow Latino cast and crew, so more people can relate to what they see on the big screen. This mythmaking is just a part of human nature, she said. “We’ve always, from ancient times, needed myths (with) heroines and heroes to guide ourselves,” she said. Hardwicke’s protagonist is an “empowered woman that is more like what we want to see and what women feel now in 2019,” she said. “We want people to support the film because it’s got a Latina star, … a female director, … a female oriented story.